New York Knicks fans heard crickets as the clock rolled past the 3pm deadline. However, the Knicks did make a couple of moves after the deadline past. The New York Knicks officially complete buyouts with center Enes Kanter and most recently acquired guard Wes Matthews. Both of these do not come as a shocker and more routine. There’s nothing much on Matthews being bought out. No one expected him ot be a Knick long. He averaged 7 points a game and one sweet headband. It is reported that Matthews will sign with the Indiana Pacers. Thank you for your 2 game service. Kanter, on the other hand, man, what a character. Most fans couldn’t wait for this guy to get bought out. He simply wore out his welcome. Kanter was great on offense, but sluggish on defense. I also got a few chuckles from him on social media, but more confusion. Kanter turned into a cancer and tried his best to always appear jovial. 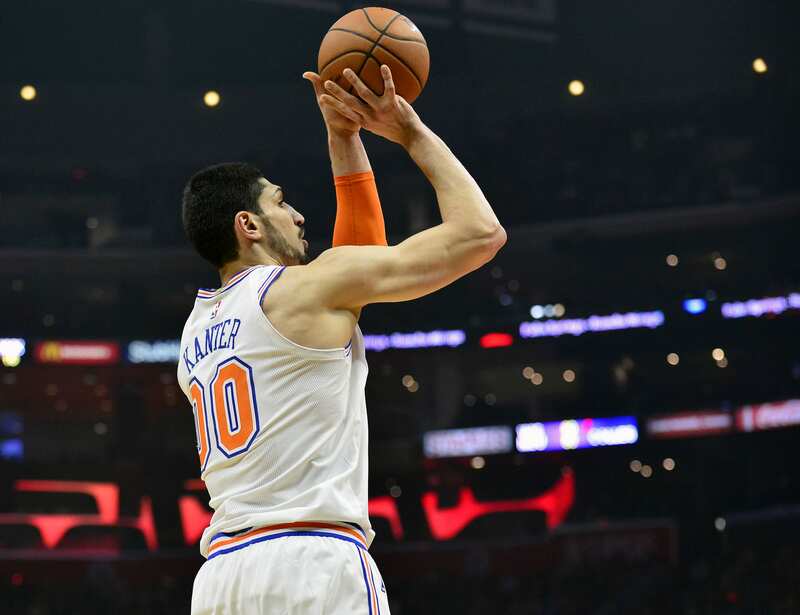 Kanter is in a battle with the Turkish government and brought unnecessary attention to the team for not playing. I mean come on man, what do you expect on the leagues youngest team? To play all the time? Quit whining and making it all out to be about you. Nothing more to say on Kanter. Fans know everything about this guy because he’s active on social media and in the national media through his legal battle. Thank you for your weirdish time as a Knick. The Boston Celtics have expressed interest in Kanter after the buyout. This bods well for the Knicks. Once Kyrie Irving sees how weird Kanter is, he’ll want out.